Cyber Monday Merch Sale : Squad – Communicate. Coordinate. Conquer. Happy Black Friday! Two Steam sales weren’t quite enough for us this month, we also wanted to do a little something extra since Cyber Monday is coming up. 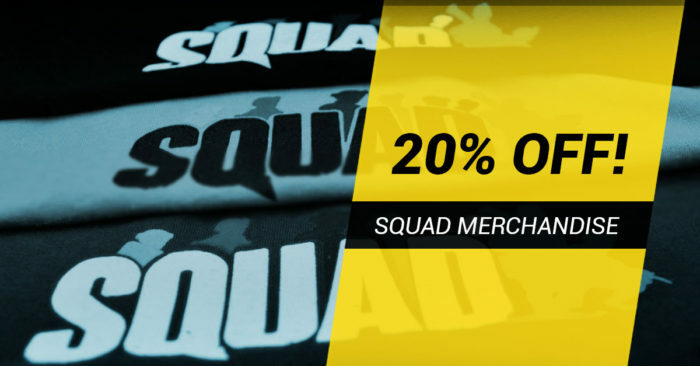 So if you’ve been holding off on getting your Squad swag, everything in the Squad Merchandise Store will be 20% off on Monday, November 28th. As always, $5 of OWI’s profits from each item sold in the store goes to Stack-Up. 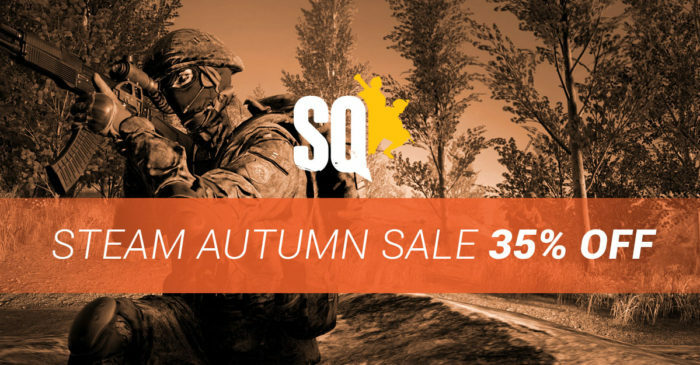 Dont forget, were also in the middle of Steam’s Autumn sale so Squad is 35% off until November 29th. Between that and the 20% off Cyber Monday merch sale, you should be able to get yourself fully Squadded up for the holidays, gifts included.